Lucapa, which owns 70% of the Mothae kimberlite mine in Lesotho , has unearthed a 78-carat white diamond from the mine. According to the company, it is the largest Special recovered through the new Mothae treatment plant following the commencement of commissioning and recovery of commercial diamonds. Lucapa Managing Director Stephen Wetherall commented: “We are extremely delighted to have started our commercial diamond recoveries at Mothae on such a successful and positive note with the recovery of this 78 carat white diamond. Recovering such a diamond this early confirms our confidence in Mothae as a large diamond source”. Back in August, Lucapa recovered a Special stone (10+-carat) from the ongoing bulk sampling program at Mothae. 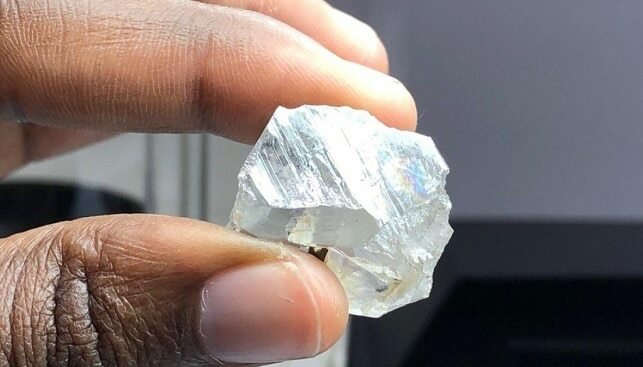 According to Lucapa, the 11.88 carat diamond was recently recovered from the North zone and is the first Special recovered from that section of the Mothae kimberlite pipe.